Kyle Busch (6): Busch has been on fire and he must be in all lineups this week. He has won 3 of the 8 races, finished every race in the top 10, led 498 laps and has a 3.4 average finishing position. Busch has 6 wins, including 2 in a row at Richmond and he has finished 77% of his races at this track in the top 10. Busch had the fastest car in practice. Rowdy should win Saturday night. Denny Hamlin (6): Hamlin had a very fast car in practice. 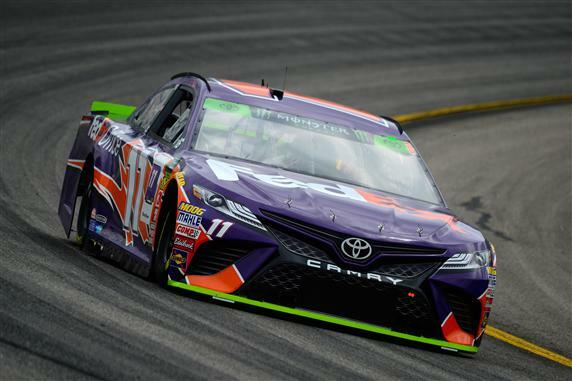 Hamlin said he would have qualified up front if he did not draw the last spot in qualifying. His team was at a disadvantage since all of the speed was taken out of the track by the time the No. 11 car made a lap. Hamlin has finished every race this season in the top 11. He has finished 3 of the last 4 races in the top 5. This is one of Hamlin’s best tracks so I will use an allocation with him Saturday night. Kurt Busch (8): It would not surprise me if Busch won the race Saturday night. Some teams in the garage were talking about how fast his car was. Also, Chip Ganassi Racing took two pit crew members off of Kyle Larson’s team and gave them to the No. 1 team. They did this to improve the No. 1 car on pit road. Busch has a 9.1 average finishing position in the last 9 races at Richmond. He should easily finish in the top 10 again Saturday night. Ty Dillon (8): Dillon has a 14.3 average finishing position on the tracks under 1.5-miles in length so he has been very good in the aero package the MENCS is using this week. Dillon finished 15th at Phoenix earlier this season (similar track in size and shape to Richmond). The No. 13 car was 16th fastest in practice with the 11th fastest 10-lap speed. It will take Dillon a while to get to the front but he should be near the top 15 by the end of the race.